Should you buy your wrap and tape before you choose a gift? 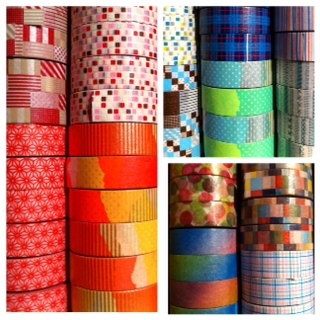 you might want to when you see these our new papers and masking tapes! a tactile and visual feast, something for everyone. peels off easily, cuts easily, let your imagination run wild. Newer PostSpring Fever is here! Older PostMaking handmade books satisfies our creative urge to make something both tangible and useful.